Cakes! Small cakes, medium cakes, large cakes, jumbo cakes. Yarn cakes! It took me most of Saturday afternoon to wind all this sock yarn into cakes. 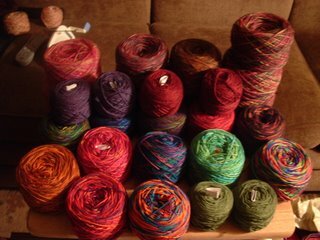 One skein decided it wanted to star in Yarnz Gone Wild. A few buddies tried to make the cut but were quickly reined in. The color-blocked hoodie continues to take shape. I'm about halfway on the front. Kids clothes look so funny with the short arms and legs and long torsos. I have to keep reminding myself that their proportions are different from those of us full-sized humans. After much consideration, I decided to leave the sleeve green and make the hood gold. If I don't like the results I can always re-work the pieces. Other knitting progress has been reduced to a snails pace. 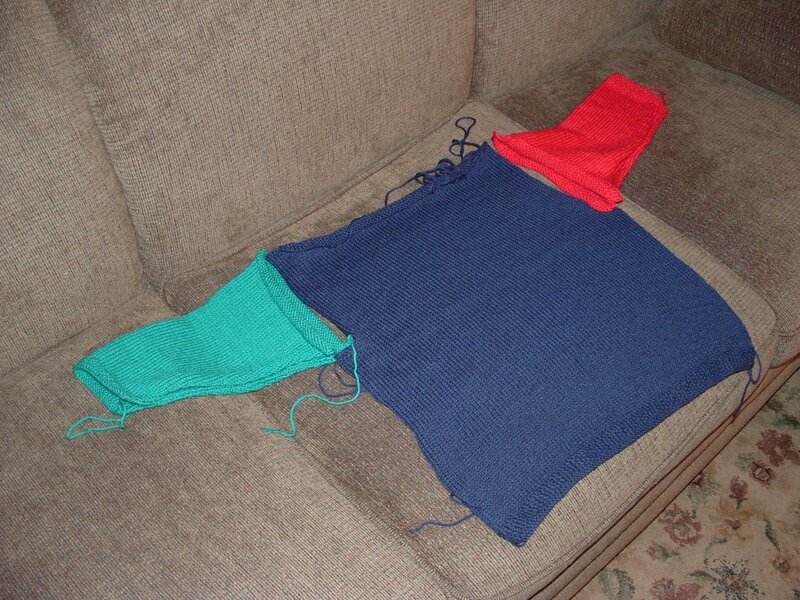 The Palmetto Purlers Knitting Guild meets on Tuesday and it will be my first meeting as president. To that end, I've been researching info to clear up some misinformation and working on items to present to the membership for the upcoming year. 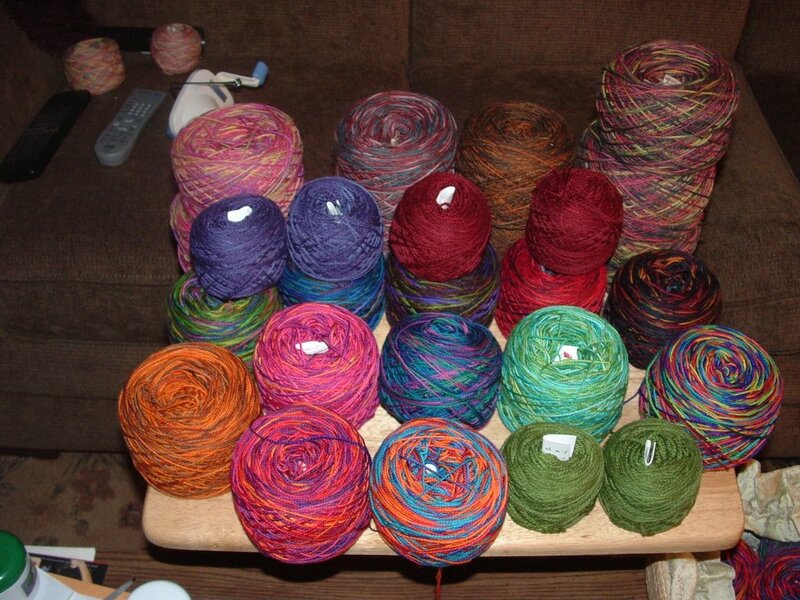 I've have so much yarn to wind it's not funny.